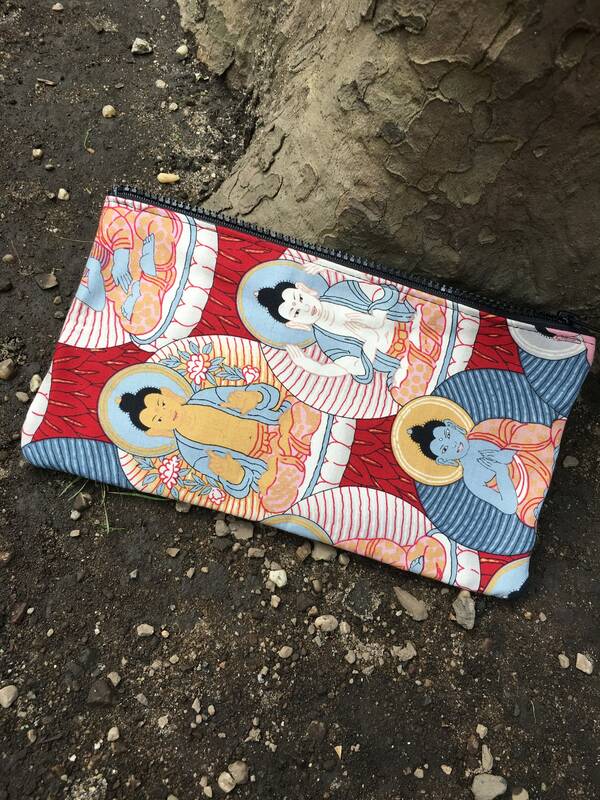 This is a great Buddha cotton print pouch. 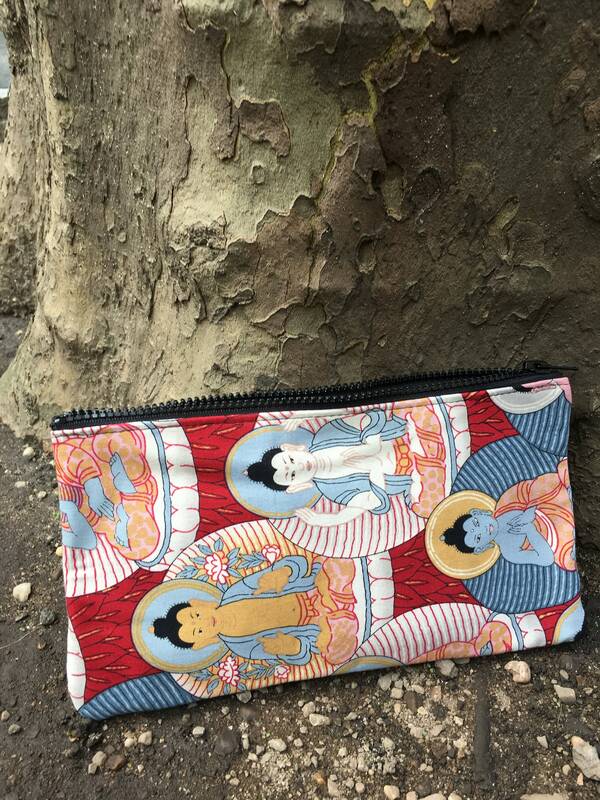 This bag is lined with a water repellant canvas and is perfect for pencils, brushes, cosmetics, toiletries. 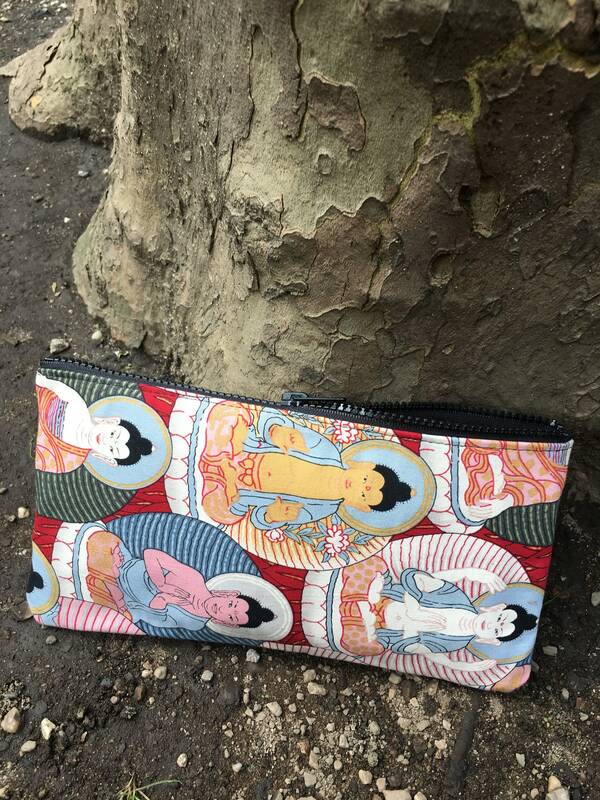 Everybody needs a pouch for storage and organization.